A few of us headed out after dinner tonight and stumbled across a block party with bands set up to play at opposite ends of the street. Close to where we settled in for a couple of beers was a Beatles cover band that was awesome. 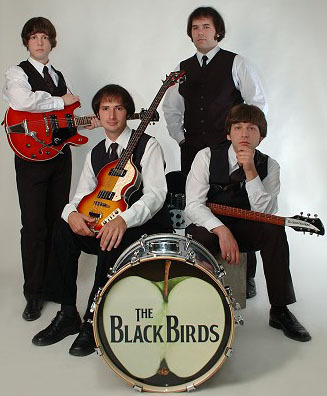 Looking up the band on the Internet back at the hotel later, it turns out that this group--the BlackBirds--is from Hungary! Turned out to be a great night out in Vienna: an unexpected delight! Turns out when we arrived that what we were scheduled to see was a ballet, not an opera. Now I'm sure it's a beautiful art form for those who understand it, but dance is not really my cup of tea. The music in this performance was only loosely based on Bizet's score. So it was disappointing, though there were some striking visual images created on stage. 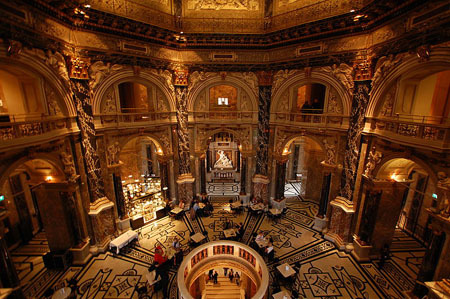 Spent most of the afternoon exploring The Kunsthistorisches Museum, Vienna's world-class art history museum, with the treasures of the Habsburgs displayed in a spectacularly beautiful, yet surprisingly comfortable, venue. This may well be my favorite among the major museums of the world, pulling ahead of the British Museum. The Egyptian, Greek, and Roman collections here were first-rate. There were couches arrayed in all the rooms displaying paintings, encouraging visitors to take their time to appreciate the art. Among the notable painters represented are Caravaggio, Rubens, Raphael, Rembrandt, Vermeer, van Eck, Durer, and lots of Brueghel. 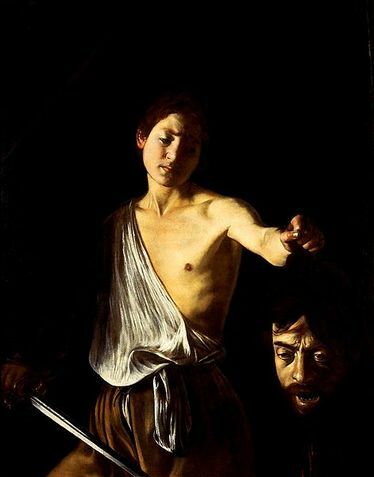 My favorite painting of the day was Caravaggio's "David with the Head of Goliath." This page contains an archive of all entries posted to As Far As You Know in the Vienna category. They are listed from oldest to newest. Venice, ITALY is the previous category. Washington, DC is the next category.